Welcome to the tenth year of the Agricultural Cooperative Directors and Executives Leadership Training program. This program is designed to promote director excellence and teamwork wtih management by providing you tools to apply to your cooperative’s challenges and opportunities. For the first day’s agenda we’ve put together a program linking governance, finance and strategy, which we think will help participants make better, holistic decisions tied directly to your mission. We’ve teamed up with Morrison and Company, a business advisory firm that has worked with many California cooperatives and others in the food and agriculture industries to develop strategies and business plans, introduce new product or business lines, improve human resource and organizational efficiencies, and secure an impressive number of federal grant funds for financing new ventures. As part of their work, they’ve become integral parts of dozens of cooperatives and other food companies, and we believe their combined ‘30,000 ft.’ perspective and boots-on-the-ground experience will bring new ideas to this program. Back by popular demand, Dr. Phil Kenkel returns to lead a session providing perspectives and guidance on governance, working with management, and making the link between coop financial health and member benefits. We also continue the tradition of looking at successful and transformed cooperatives with their representatives. Dr. Michael Boland is returning with a new set of case studies ranging from California to Ireland to explore how they have carved out successful paths in their industries and how they’ve dealt with internal and external threats. How your reason for existence should drive your core values, secondary values, and aspirational values. Planning: A Cooperative above the rest; how the right strategy can lead to success. When a cooperative’s core purpose becomes clear, the difference between where it is and where it needs to be can seem daunting. It needn’t be; this can be the time for a cooperative to invest in changing its trajectory and the future of the business. Create a compelling yet practical strategy with an approach that breaks down strategy from the 30,000 foot perspective to the interrelated activities that make your strategy achievable. Perseverance: Look! A squirrel! How a short attention span and quick fixes derail long-term goals. The best laid plans go awry if not executed properly and it’s easy to get distracted. The ability to adapt appropriately to achieve the mission (purpose) is critical to success and an ongoing process. Create clarity in purpose and strategy, allow for flexibility in execution, and provide healthy accountability at all levels of the organization. To achieve these ends, coops must recruit and retain the right people, adapt effective and non-bureaucratic performance planning, institute proper rewards, and continually work to create a healthy organization. Performance: Long-term financial planning strategies relevant to cooperatives; balancing debt solutions, managing equity/debt, and cash flow. A business has to perform to succeed, and sooner or later that boils down to money. How strategy can inform a cooperative’s decisions in planning its cash and equity needs while targeting competitive returns/refunds for its grower-members. Internal Alignment: A board of directors is a team and great teams don’t just happen, they have to be built and nurtured. All boards needs to understand their key roles and responsibilities and have efficient processes. Great boards understand the need to build mutual respect and teamwork while avoiding “group think”. Internal alignment is an on-going process of building the oversight and decision making processes of the board. Alignment with the CEO: The success of the cooperative is built on a team effort between the CEO and Board. That teamwork does not come naturally as the CEO and Board have different backgrounds, different information sets, different time perspective and different decision processes. Alignment between the CEO and board is an on-going process with adjustments and feedback from each side. This section discusses the barriers to alignment between the CEO and board, the need for on-going adjustments and the key role of the board chair. Alignment with Strategy: Many cooperatives have an annual strategic planning sessions. Few boards of directors actually “own the strategy” and integrate their long terms goals and visions into board operations and decision making. An aligned board has clarity in regard to the cooperative’s strategy which allows it to establish priorities and balance time between monitoring performance and analyzing future conditions. Strategic alignment helps the board through decisions involving capital expenditures, acquisitions, divestitures and profit distribution. Alignment with Member Interests: The most nebulous challenge of the board of directors is positioning the cooperative in the best long term interest of the membership. Aligning the cooperative with member interests involves aligning assets with the core membership needs, maximizing profits through efficient operations, managing the balance sheet for liquidity, solvency and adequate reserves and distributing all residual cash to members through cash patronage and equity retirement. The cooperative business model has many moving parts. The aligned board understands how to manage those parts to best benefit the members. Consultant Carissa Ryström joined Morrison & Company after several years with the Strategy and Performance Group of SRA International, Inc., a consulting firm with over 5,500 professionals in the United States and Europe. Carissa was based in the Washington D.C. office. At Morrison, Carissa helps clients develop higher-functioning businesses and organizations, as well as build stronger leaders and leadership capabilities. A talented writer who has written everything from corporate and governmental strategy reports to collaborating on a screenplay, Carissa is also an important part of our grants team. While at SRA International, Carissa worked with clients in a wide array of industries including agribusiness, environmental councils, and governmental agencies. Her service areas included organizational change management, strategic communications, and program implementation for clients including the United States Department of Agriculture (USDA), Environmental Protection Agency (EPA), National Science Foundation (NSF), and Department of Veterans Affairs (VA). Prior to SRA International, Carissa was Communications & Research Associate with Vertical55, an executive consulting firm, focused on coaching and leadership development. She is Spanish-English bilingual and has experience in publishing work while previously living in Buenos Aires, Argentina. 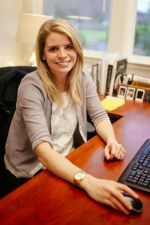 Carissa holds Bachelor's degrees in International Relations and Affairs and in Spanish Language and Literature from University of Colorado at Boulder. She is a certified Six Sigma Black Belt. 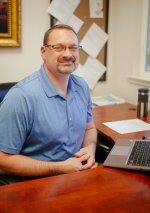 Shawn Miller has extensive experience in human resources, recruiting, organizational development, and HR related services in addition to over 10 years’ experience in operations management. This distinctive combination of people and operational experience uniquely qualifies Shawn to serve Morrison clients’ “people” needs with both a professional HR background and real-world operational management experience. He manages Morrison's People Solutions services, including recruiting. Shawn became SPHR certified (Society for Human Resources Management) in 2003 and focuses on improving clients’ overall performance and culture with recruitment and behavioral based interviewing, operational management and leadership development, and leadership training. 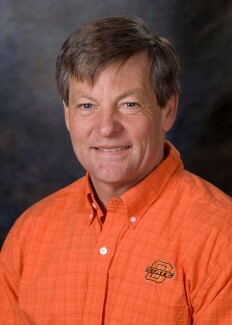 He holds a bachelor’s degree from Cedarville University, Ohio. Shawn previously served in Human Resources Manager and Quality & Compliance positions for NIBCO, Inc., advancing to the Administrative Manager position overseeing both human resource and quality and compliance functions. While at NIBCO (a manufacturer of valves, fittings, and flow control products that operates manufacturing facilities throughout the United States, Mexico, and Poland), Shawn oversaw all non-production related functions at assigned factory locations. His responsibilities included targeted recruitment, compliance with personnel law and regulations, EHS (Environment, Health, and Safety) systems, TQM (Total Quality Management), administration of the Steelworkers Union labor contract, and oversight of a facility closure and the associated union relations. Shawn implemented STAR (Situation, Task, Actions, and Results) based selection processes, developed and implemented the company’s workplace violence prevention program, and developed and administered bonus structures for personnel at all organizational levels. 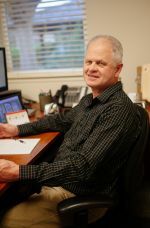 In addition, Shawn has held operations or production manager positions at Dometic, an equipment supplier to RV manufacturers, boat builders, vehicle manufacturers, hotels, and retailers; Global Building Products, a US based manufacturer of steel doors and windows for commercial construction; and Dutch Mills, Inc., a manufacturer of high end furniture and cabinetry. He also founded and operated a manufacturer of high quality furniture, cabinetry, and millwork products.